If you thought back to the first things you ever learned about the history of America, the one that jumps out is that Columbus sailed the ocean blue and discovered America is 1492. While the date is correct, we later learned when our study of history became more scholarly that there is some dispute about whether Columbus discovered America at all. 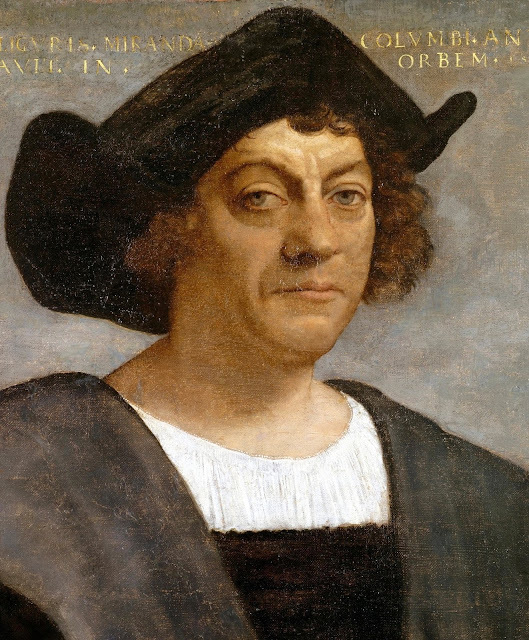 So what is the real legacy that this legend of Columbus has given to the American culture that has made him such a revered figure in cultural history? So much of the Columbus story is approximate that, at first review, we would almost relegate the story of how Columbus discovered America to the level of a myth that borders on superhero worship. But Columbus was not a myth. There really was an explorer named Columbus who carried out three bold journeys across the ocean and during those journeys, he did indeed discover “the new world.” His ships really were named the Nina, the Pinta, and the Santa Maria and he did indeed embark one of those three voyages in 1492. The legacy of Columbus then is more than just the facts of his exploratory journeys and their outcome. There is a reason to believe that Columbus’s fabled “discovery of America” did not occur on North American soil but somewhat further south of here, somewhere in the Bahamas. But the legacy of Columbus lies in his spirit and the challenge he took on that is part of the American spirit and one we identify with so strongly. Part of the legend was that Columbus embarked on this trip for the new world despite the prevailing “scientific” belief that the world was flat. Now research in recent times has surfaced sufficient documentation to show that sailors of that time never did believe that teaching. Their extensive knowledge of navigation and astronomy, which is crucial for any successful sea voyage, was sufficient for sailors to know that the earth was round and that they would never “fall off the edge.” However, the image of those brave men launching out to sea, against the advice of popular opinion, to find something new and exciting so connects with the American spirit of discovery and adventure that this myth persists as part of the legacy of Columbus. Americans do have a tremendous sense of discovery and adventure and a deep-seated need to conquer new lands, to reach out beyond their own grasp and to do the impossible. This was the spirit of Manifest Destiny which gripped the nation long before there was any reason to believe that this meager band of colonists had the resources to settle a great nation. Americans always have had such a firm belief in themselves and a core faith that they could do the impossible. That part of the American spirit is what connects to Columbus’s setting out on these bold missions facing certain dangers so he too could discover new lands and have great adventures. The legacy of Columbus also lies in the American desire to explore. Even though the source of the quotation is only a science fiction show, the “mission” of the fictional spaceship “The Enterprise” sums up a deep desire in the heart of all Americans. Space, the final frontier. These are the voyages of the Starship Enterprise. Her five-year mission: to explore strange new worlds. To seek out new life and new civilizations. To boldly go where no man has gone before. For Americans, the mission of James Kirk is a perfect restatement of the mission of Christopher Columbus. And it is the mission of America which has driven this country and its citizens to discoveries and achievements that have never been done before. It is that spirit of Columbus in all Americans that is one of the things that have made this country great.